The ability for people to collaborate and to work together easily is mission-critical for any organization. Our unified video conferencing solutions extend your ability to communicate and integrates into your everyday workflow. 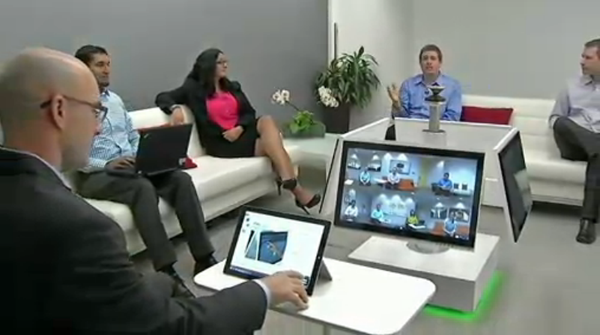 We can provide scalable video conferencing solutions for companies of any size. Whether you're a large multi-site company or just 5 people in a small office we have the video conferencing solution to meet your needs and within your budget. The traditional on-premise approach to Video Conferencing involves purchasing and operating both the infrastructure and endpoints necessary to support Video Conferencing Solutions. This is ideal for companies with strong IT departments who already manage their own server solutions or have existing investments in Video Conferencing solutions equipment and demand complete customisation and security. If this sounds like you then of course we can provide you with the technology and installation your company demands. However, more and more companies are turning to the cloud for more cost-effective video conferencing solutions. In a cloud based solution all IT Management, upgrades and security is dealt with in the cloud. 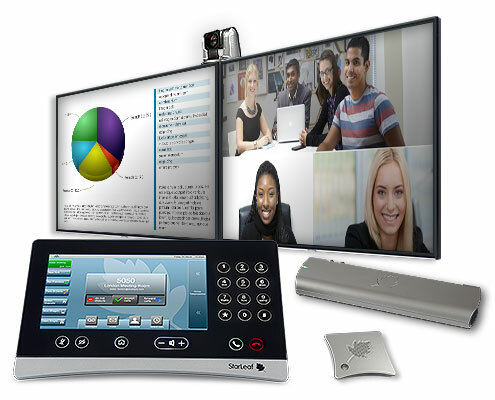 This significantly reduces the cost and increases the scalability of Video Conferencing Solutions. You can start with a simple starter kit and add to the video conferencing solution system as your company grows. Cloud based solutions give you unlimited scalability at a great price point.